The most desirable outcome for anyone charged with a crime is for the entire matter to be dropped entirely. Fortunately, it is certainly possible for a defendant's charges to be dropped or dismissed with the help of an Arizona criminal defense lawyer. If your charges are dismissed, this often means criminal charges will be dismissed before the case against you even reaches the trial or plea stages. In other instances, defendants may have charged dismissed on a post-conviction appeal after a trial has already taken place. No matter when charges are dismissed, however, there are common legal defenses that must be raised. Here are a few of the most common defenses that a Phoenix criminal defense lawyer may use that result in a dismissal of charges against you. The probable cause standard is an important legal defense to raise when there are legitimate questions regarding whether law enforcement arrested defendants without probable cause, which violates every defendant's Fourth Amendment rights in the U.S. Constitution. When a criminal complaint or charging document is brought against a defendant, a law enforcement officer must attest to the truth of the complaint filed by signing under oath. If errors are made or significant truths are omitted from a charging document or criminal complaint, Arizona state or local laws may have been violated. 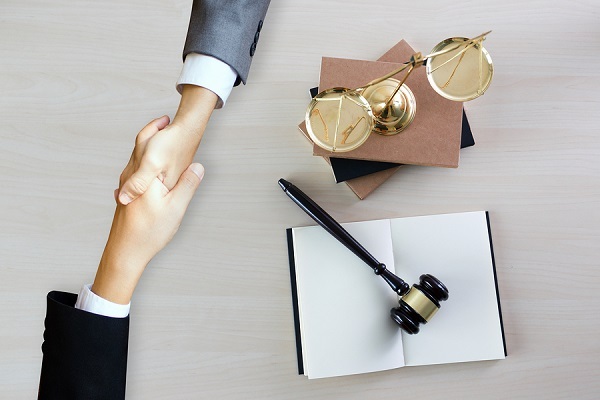 Significant errors in these procedures can lead to a dismissal of the case entirely, reinforcing the need for a Phoenix criminal defense lawyer who understands the nuances of criminal procedure. If a driver breaks the law in Arizona or otherwise gives the police officer reasonable suspicion to stop the vehicle. If, however, this standard is not met or the stop is discriminatory for any reason, then the driver's legal rights will have been violated. Similarly, if evidence was seized unlawfully without probable cause, your legal rights were violated. The Fourth Amendment, therefore, serves to ensure that any arrest made based upon an unlawful search or seizure, no evidence gathered may be used against you in a court of law. As a result, your defense lawyer will cite the lack of evidence against you as the reason to dismiss all charges through a formal motion. If you have been arrested, prosecutors will look to see whether there is enough evidence to even bring a case to trial. When this evidence is insufficient, your criminal defense lawyer can intercede on your behalf and argue that no formal charges should be brought against you. Even if a prosecutor chooses to move forward with the case, your attorney can then file a motion to dismiss the case for a lack of evidence. Many criminal cases have been dropped for this very reason with the help of a criminal defense attorney. If you have any additional questions about the dismissal of criminal charges in Arizona, contact us to discuss your case with a Phoenix criminal defense lawyer.